fter two days of around-the-clock work by participants and mentors, 34 new potential solutions were presented to a panel of judges – ranging from new tools for antenatal care to disruptive technologies for newborn asphyxia. Top Prize: Team “Baby Steps” received Rs. 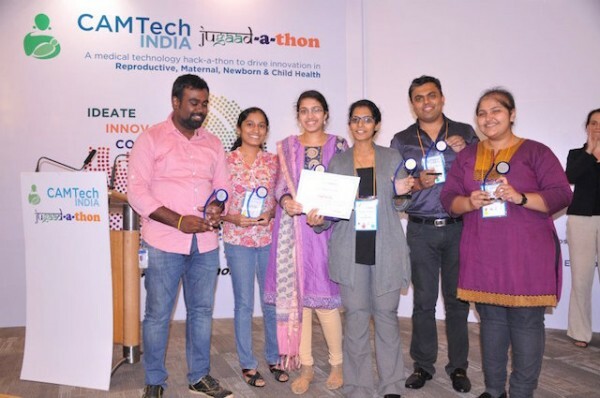 2,50,000 (USD $4,100) for developing a unique and integrated mobile app for early diagnosis of developmental delays in children across India. First Runner Up: Team “Pec Dia” received Rs.1,50,000 (USD $2,500) for developing a solution to diagnose Cephalopelvic Disproportion (CPD) in pregnancies after 37 weeks by any healthcare worker. Second Runner Up: Team “Pregmatic” received Rs. 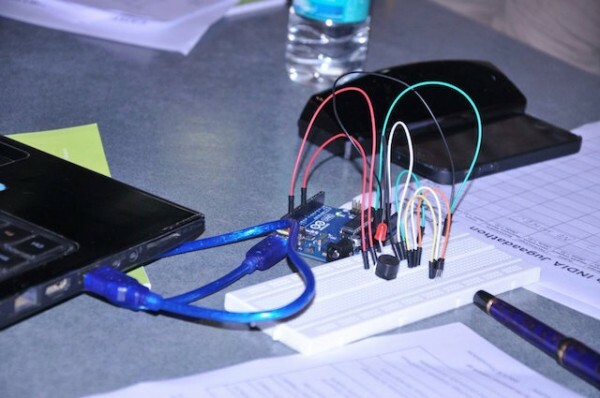 75,000 (USD $1,250) for the development of an affordable wearable device that reminds pregnant women about key milestones in pregnancy when they must see a medical professional. All three of the cash prize winners also received three years of incubation support at the Mazumdar-Shaw Medical Center’s Healthcare Technology Incubator. Co-Creation: Can it help drive technology innovation in Reproductive, Maternal, Neo Natal & Child Health (RMNCH)? David Bangsberg is the Director of the Massachusetts General Hospital Center for Global Health, Professor of Medicine at Harvard School of Medicine, Associate Member of the Ragon Institute of MGH, MIT and Harvard, Associate Member in the Division of Global Health Equity at Brigham and Women’s Hospital, and Visiting Professor at the Mbarara University of Science and Technology in Uganda. David Bangsberg is the Director of the Massachusetts General Hospital Center for Global Health, Professor of Medicine at Harvard School of Medicine, Associate Member of the Ragon Institute of MGH, MIT and Harvard, Associate Member in the Division of Global Health Equity at Brigham and Women’s Hospital, and Visiting Professor at the Mbarara University of Science and Technology in Uganda. Dr. Bangsberg received his medical degree from Johns Hopkins University and holds a Master of Science from Kings College at the University of London and a Master of Public Health from the University of California, Berkeley. Dr. Bangsberg has researched and published extensively on adherence to antiretroviral medications in treating HIV/AIDS and has collaborations across sub-Saharan Africa. In 2012, Ms. Elizabeth Bailey joined MGH as the Director of the Consortium for Affordable Medical Technologies (CAMTech), which catalyzes and accelerates medical technology innovation to improve health outcomes in low- and middle-income countries. Prior to MGH, Ms. Bailey spent over a decade as an investment partner at Commons Capital, an impact venture capital fund that invests in early-stage technology companies. Ms. Bailey managed the fund’s health care and education portfolios, and she led the fund’s global health initiative supported by the Bill & Melinda Gates Foundation. She is a strong advocate for leveraging private sector solutions to generate sustainable and widespread public health impact. Ms. Bailey earned a Masters in Public Policy from the Kennedy School of Government at Harvard University and a BA from Brown University. Dr. Kris Olson is a Clinician Educator at MGH in the Departments of Medicine and Pediatrics. Since 2006, he has served as the Program Leader of CI MIT's Global Health Initiative directed at developing effective catalyst health technologies for low-income countries. He attended medical school at Vanderbilt University as a Justin Potter Scholar and was a US Fulbright Scholar to Australia where he completed a Masters of Public Health Degree in Epidemiology and International Health. Ms. Smitha Gudapakkam is CAMTech's Business Development Manager and focuses on growing the CAMTech program both locally and globally. Ms. Gudapakkam provides an engineering and business lens to CAMTech's initiatives through her background and experience in the healthcare industry. Ms. Alexis Steel is CAMTech’s Grant Administrator and is responsible for all pre and post award management of the CAMTech grants and contracts including the Innovation Awards and grant activity throughout Uganda and India. Ms. Steel has worked with numerous nonprofit organizations focusing on women and children both locally and globally including working with several alternative education programs in Honduras. Her primary focus has been in global health and education reform across Central and South America. Ms. Steel graduated with her Bachelor's Degree from Trent University with a double major in Global Studies; Globalization: Communities and Identities, and Culture Studies with a focus on Latin America. Priya is a class of 2015 at MIT majoring in mechanical engineering with a focus in medical devices. She's interested in innovation for healthcare, social enterprise, women and international development through technology, medical devices, clinical care and public policy. Currently, Andrea is a PhD student in the Engineering Systems Division at MIT, co-founder of Smart Scheduling, and co-leader of MIT's Hacking Medicine. Recently, she served as a Product Innovation Manager at athena health and completed her S.M. in Engineering & Management at MIT. During her Masters' research, she worked with the Chief of Telehealth in the Army to architect the future tele-behavioral system of care to help treat service members affected by Post Traumatic Stress. She obtained both her B.S in Biological Engineering in 2006 and Masters of Engineering in Biomedical Engineering in 2007 from Cornell University. Prof. Raju is the current Vice Chancellor of VIT University, Vellore, Tamil Nadu. Started his career as a manufacturing engineer in the automotive industry in the USA, he was a faculty member or researcher for about 30 years in the US universities. His current focus is to build strong international research partnerships and help VIT play a major role in higher education in India. Soura has had experience in bridging the gap between technology users and developers. While at an MIT-spinoff startup, he helped design a range of products across multiple platforms, including laparoscopy, endoscopy and robotics. He has experience in designing pre-clinical & clinical studies, and has worked in close collaboration with international clincial centers of excellence such as MD Anderson, The Cleveland Clinic, Memorial Sloan Kettering, Columbia, Cornell and the Harvard Medical School. Soura holds an MBA from Harvard Business School (High Honors) and a Bachelors' in Chemical Engineering from IIT Kharagpur. Mr. Ganesh Chandan is Senior engineering Manager in GE Healthcare. He is currently leading a team towards realizing a new CT systems value platform. He has over 13 years of experience with GE, has been leading multiple team in different capacity towards product realization. Some of the positions he held in the past were Lead Scientist GE Global Research, Lead Systems Designer in the X-Ray, Systems Manager in X-Ray and CT. His professional interests include Product Development, Program Management, Value Engineering and Developing team towards product realization. Mr. Baskar is a Senior Engineering Manager in GE Healthcare. He is currently leading Robotics CoE team in GEHC responsible for developing Interventional and Mammo products. He has 25 years of experience in the electro-mechanical design, automation and medical equipment development. He owns 11 patents to his credit and has expertise in HW design, end to end product development, program management and supply chain. With experience spanning sales management and product management, Chayan has expertise in commercial execution as well as developing whole product solutions. While at OmniGuide Inc., he managed products worth 50% of the organization's revenue stream. He also brings strong expertise in operations management & process design, with prior experience in plant operations and engineering. Chayan holds an MBA from Wharton and a B.Tech/ M.Tech from IIT Bombay. Sahil brings to the table a biomedical engineering background merged with a keen eye for product design. He has focused his entire educational career towards clearly understanding the importance of ergonomic, sustainable design in medical technologies for low resource environments. Sahil holds an M.Eng Bioengineering from Cornell University and a BS Bioengineering from The University of Utah. Having completed his MBBS from Vydehi Institute of Medical Sciences, Dr. Saha provides clinical expertise on all technology based projects at Glocal Healthcare. Dr. Saha has had experience working as a Resident Medical Officer at a renowned medical college in Bangalore, India. He works with Glocal Healthcare through the entire design process by helping design protocols and product validation. Sumit is a Product Marketing Manager in MIC Performance segment at GE Healthcare. He has been a part of the product innovation team at JFWTC, developing products for global emerging markets. He has over 10 years' experience in marketing (upstream and downstream), business development and strategy across healthcare, manufacturing and automotive industries. Academics: He is a Chemical engineer and has an MBA from Indian School of Business, Hyderabad. Mr. Sirosh Sivasankaran is an Architect in Maternal Infant Care, LCS modality — GE Healthcare. He is currently driving the Advanced Technology Development programs in MIC Performance. He has 14 + years of experience in different domains (Automotive, Industrial & Medical) with the last 10 years being in GE with end to end product development experience. Some of the positions he has held include Project Leader, Lead System Designer and currently Architect. His professional interests include Technology Development, Product Development & Innovation. Uma brings 20+ years of industry experience across multiple disciplines in consulting, engineering, and information technology. She is currently the Lean Master Black Belt and Talent Competency Leader at Science & Technology Organization—GE HealthCare, India. 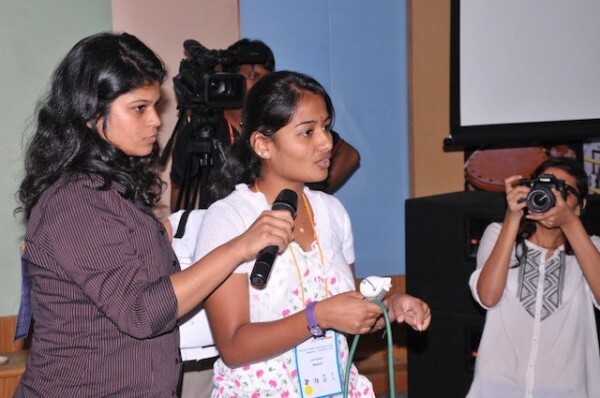 Srikaanth is a passionate problem solver & a curios engineer. He has over 20 years experience in product development across multiple domains. He currently holds the position of Engineering Director for MIC —Performance Business. His professional interests include Program Management, Risk Management, Organization Design & building high performance teams. Dr. Shirshendu Mukherjee has worked with reputed pharmaceuticals and diagnostic companies in India like Ranbaxy, Becton Dickinson and JK Drugs & Pharmaceuticals Ltd. Over his career, his main areas of research have been in the development of diagnostics, bioprocesses for biopharmaceuticals and vaccines. More recently, Dr. Mukherjee worked with the International Centre for Genetic Engineering and Biotechnology (ICGEB), New Delhi as a Staff Scientist (IPR and Technology Transfer), where he was involved with transferring the technologies developed by the centre to member countries of the organization. Dr. Mukherjee holds a Ph.D. degree in Microbiology a law degree (L.L.B) and a PG Diploma in IPR and International Trade Laws. Presently Dr. Mukherjee, works for the India Initiative of the Wellcome Trust, where he holds the post of Strategic Advisor for implementing R&D for Affordable Healthcare in India, a 30 million pound initiative of the Trust. Mr. Sanjay Chaudhary joined Tata Capital in August 2010 and leads the investments in the healthcare sector. He is experienced across strategy consulting, transactions, and private equity. He has extensively advised private equity funds and companies on transactions in the healthcare sector. Sanjay has led and supervised more than 30 transactions related engagements that have included strategic and business due diligences, deal structuring, fund raising, negotiations, and monitoring of 100 day agenda post transaction closure. Prior to joining Tata Capital, Sanjay ran his own advisory practice focused on healthcare transactions and consulting. He was one of the founder members of the India practice of Strategic Decisions Group (SDG), a boutique strategy consulting firm based out of Palo Alto. He started the healthcare practice,transactions and private equity practice of SDG in India. Sanjay has an MBA from Columbia Business School, New York and Asian Institute of Management, Manila. He has a Bachelor's degree in Engineering from Indian Institute of Technology, Roorkee. With a degree in Biomedical Engineering from the Uttar Pradesh Technical University and Fellowship at the Health Technology Innovation Centre, IIT Madras, Mohammad Ameel has worked as the Head Biomedical Engineer at Era's Lucknow Medical College & Hospital before joining the National Health Systems Resource Centre, last year. At the National Health Systems Resource Centre, Mohammad validates the medical technology for skill levels and adequeacy and assessment of risk, cost effectiveness, legal and social aspects associated with medical technology. He also serves on multiple committees and publishes articles on the medical technology. Dr. Ramesh Venkatesan is a Principal Engineer at Wipro GE Healthcare. He is currently involved in designing a system whose capabilities meet the clinical needs in studying changes to the brain resulting from traumatic brain injury and Alzheimer's disease for a future MRI product platform. He has over 15 years' experience at GE Healthcare, all spent in developing clinical applications and new system capabilities on GEHC's MRI products. His professional interests include design and development of systems that are clinically easy to use and aimed at making diagnoses from MRI more quantitative. Mr. Priyank Sharma is General Manager for Maternal & Infant care performance segment at GE Healthcare that focuses on building innovative solutions to save neonatal lives in low resource environments. He brings over 15 years of product marketing, product management, business development, and engineering experience in healthcare across emerging and developed geographies. He is a computer engineer and has a P.G. Diploma in Software Enterprise Management from IIM Bangalore. Dr. Hibberd has focussed on bringing her extensive methodological skills to a research agenda on the prevention and treatment of childhood pneumonia and diarrhea - the number 1 and 2 killers of children aged 2-59 months worldwide. Her work on diarrheal diseases has included studies in the slums of Lima, Peru; studies on safe water to prevent childhood diarrhea in Benin and Tunisia and ongoing studies of cryptosporidial diarrhea in Vellore, India. She has been part of two large multi-center multi-country international clinical trials related to treatment of childhood pneumonia, in collaboration with the World Health Organization (WHO) and the Harvard Institute for International Development/Boston University's School of Public Health, Center for International Health. Dr. Hibberd has published more than 100 peer reviewed papers, many of which are dedicated to global health, she has 4 current NIH grants, funding from the Gates Foundation and she has mentored more than 30 junior faculty/fellows, several of whom have successful research careers in global health. Throughout her post MD career, she has remained a practicing infectious diseases physician. Dr. Jay Warrior has over 20 years of experience creating new, high technology based, business opportunities for Agilent Technologies, Hewlett-Packard, Fisher-Rosemount, & Honeywell in the US & in Asia. His expertise covers the whole innovation cycle from market opportunity identification through strategy, business model & technology development, to building & managing execution teams for the new business. His external roles include the advisory board for Coactive Networks, an internet based startup in energy management, as a venture liaison to the wireless strategy board for Agilent Ventures & a consultant to St. Paul Venture Capital. He was a member of the National Academies study committee on improving cyber security research & an advisor to the board for CLEANER (Collaborative Large Scale Engineering Analysis Network for Environmental Research). He has extensive experience in large scale distributed systems. He has an MS from the School of Automation, Indian Institute of Science Bangalore and a PhD in Control Sciences and Dynamical Systems from the University of Minnesota, Twin Cities, He currently has 22 patents covering key inventions in networking & diagnostics technology. Dr. Praveen has specialized in Oral Medicine and Radiology. He is currently working as Professor, & Head of the Department of Oral Medicine and Radiology at K.L.E.S' Institute of Dental Sciences, Bangalore. He is a consultant at Biocon Foundation for down staging oral cancer. He has extensively worked with oral cancer detection and had piloted the mHealth project for oral cancer detection. He is the co-ordinator for Oncogrid a program for early detection, prevention and treatment of oral cancer.To his credit he has publications in both international and national journals and has authored text books in Oral Medicine and Radiology. He has presented papers in International, National conferences and in many scientific deliberations. Rani heads and manages all the functions of Biocon Foundation, an organization that she has been a part of since its inception in 2005. The focus of the foundation has been to create impact at the grass-root level in the areas of public health; education and infrastructure. Rani and her team have spearheaded the setting up of the Arogya Raksha Yojana (ARY) clinics, which also support the Foundation's micro health insurance program. Rani has been responsible for developing an extensive preventive health programme focusing on prevention of communicable diseases, and early detection of chronic diseases like cancer, diabetes and cardiovascular disease. She believes that the most effective health interventions are measures that increase knowledge of basic health, prevention and early detection of diseases. Such interventions lead to improved overall health of communities. Suchitra has a degree in Clinical Cardiology and has worked in various capacities as a clinician in India and the United Kingdom. She has experience of Cardiovascular Disease screening and treatment in rural centers as well as tertiary hospitals. As a Senior Program Manager for Preventive & Primary Healthcare, Biocon Foundation, some of the programs she has been involved with are Cervical Cancer screening, Oral Cancer Screening, Malnutrition, and Diabetes treatment and follow up at the Primary level. Before founding Glowship, Srinivas led Sales at SunEdison, India, where he was responsible for sales of solar solutions to Commercial & Industrial customers. Prior to this, Srinivas incubated and led the retail business for off-grid solar products at a VC-backed firm, Kotak Urja. Srinivas started his career with ITC as a Management trainee where he developed strong competencies in Manufacturing, Operations & General Management. Srinivas has an undergraduate degree in Chemical Engineering from IIT Madras, India, and an MBA from Stanford University USA. Dr. Paik is a research scientist at MIT in the Laboratory for Computational Physiology and is the Director of Operations for Sana, a global mHealth organization which focuses on healthcare quality improvement in resource limited settings. Sana supports an open source telemedicine platform, dozens of global health informatics projects around the world, and promotes capacity building through educational initiatives, co-creation, and collaboration. Dr. Paik completed his postdoctoral fellowship training in Clinical Informatics at Harvard Medical School at the MGH Laboratory of Computer Science and is also an entrepreneur engaged in health technology startups. Mr Syed Ahmed Mushtaque has 18+ years of experience in healthcare affiliated industries. He started out as a Medical Sales Rep at Jansen Cilag before moving onto to become District Manager at the same. He has also worked with Ethicon Endo Surgery and Roche Nicholas Piramal. At Covidien for 6+ years, he has taken on various roles including Regional manager, Technical Training Manager and currently Manager Clinical Alliances and Tailored Products. Mr Mushtaque specializes in identifying market needs and generating innovative solutions to improve business. He is well versed with Biomedical devices with years of experience plus domain knowledge in consultative selling of surgical devices in specialties such as Laparoscopy and Surgical Oncology. Priya Balasubramaniam Kakkar is a public health researcher with areas of interest in health systems, public policy implementation and design, health politics and monitoring and evaluation. At PHFI, she leads the Universal Health Coverage Initiative, one of India's seminal health policy exercises on health system reform. As founding partner of Future Health Inc., Singapore, she is also engaged in leveraging social entrepreneurship to address inequities in health care delivery, building research capacity incorporating evaluation philosophy and techniques in core public health training, and exploring the role of diplomacy in health systems strengthening. Priya's academic background includes training in Public Policy and Administration from the Harvard Kennedy School of Government, International Health from the University of Texas Health Science Centre, Houston and degrees in Dental Public Health and Dentistry from the University of Toronto and Annamalai University, India. Mr. Ganesh is a freelance Management Consultant. He is currently engaged with two SME clients in Bangalore and helps in developing strategies for them to achieve their potential. He has over 30 years experience at ITC, with the last 10 years being in strategic leadership roles. Some of the positions he has held include VP Operations, Head of Product Development and Chief Engineer. His professional interests include Strategic Management, Product Development & Project Management. Mr. Saurav Panda is a co-founder at Sparsh Nephrocare. Sparsh Nephrocare is a pioneer of 'in hospital' dialysis units. They are working to make high quality dialysis affordable and accessible. He was previously a Manager at Bristol-Myers Squibb and an analytics consultant at Inductis. His professional interests include start-ups, technology innovation and healthcare solutions. Sundeep Kumar, currently based out of Gurgaon, brings with him many years of experience in advertising and marketing. With over 23+ years of experience in advertising, which included his role as Founder Director of Milestones Advertising. He has since worked in the private sector spearheading the Corporate Affairs, Communication and Public Affairs Department at Godfrey Phillips and SABMiller and Novartis. He is well noted for his expertise in Brand Management and Strategic Planning. Having completed his degree in Economics at Hindu College, Delhi University, Sundeep Kumar pursued his MBA in Finance and Marketing from IIM-A. Mr. Sundeep Kumar is also a noted guest lecturer at XLRI. An M.Tech in Biomedical Engineering and MBA from the Annamalai University, G Narasimhalu is currently pursuing his PhD from VIT. Narasimhalu started his career as a Power Electronics maintenance, followed by 24+ years in the Biomedical Engineering durin which he has worked with Radiometer International, Copenhagen and IMI India, before joining Dayanand Sagar University as Associate Professor Biomedical and Head Technical Services and Quality Assurance at Dayanand Sagar Institutions, Bangalore. Narasimhalu has mentored students in the institute's endeavor to promote entrepreneurial skills with a strong working knowledge of technology incubation, he has consulted for projects at Madras Atomic Power Plant and Nuclear Immobilization Plant, Kalpakkam, Larsen and Toubro, Chennai, Center for Artificial Intelligence and Robotics, Bangalore and TVS Motors, Hosur. Ajay is a Mumbai-trained doctor on a mission to reinvent healthcare in India, using his public health training and global business experience. Before MeraDoctor, Ajay worked with Acumen Fund in Nairobi, where he assessed a wide range of innovative health startups and managed portfolio investments. Before that, Ajay helped establish a capital markets fund and was part of the Cleantech/Energy team for Acumen in New York. He completed MBBS training at Grant Medical College and has run clinics in Mumbai, worked with ICICI Bank's Social Initiatives Group, and consulted to Dimagi, a health technology company. He also has a Masters in Public Health from Harvard University. Mohan possesses rich entrepreneurial experience in scaling up sales and operations activities across multiple startups. Prior to joining Practo, Mohan has worked with InMobi wherein he was responsible for analyzing and leading key initiatives to make InMobi's network tablet ready. While at The Boston Consulting Group, Mohan gathered valuable experiences in strategy and operations consulting across multiple industries, ranging from financial services to insurance to mobile commerce. Mohan pursued his management education at IIM Calcutta and holds a bachelors' degree in Mechanical Engineering from IIT Madras. Dr. K. Mahesh did his graduation from Maulana Azad Medical College and his postgraduation (Pediatrics) from Lady Hardinge Medical College, New Delhi. He completed his training in Pediatric Cardiology (FNB) at Amrita Institute of Medical Sciences (2004-2006), and joined the Institute as Assistant Professor (Pediatric Cardiology) in September 2006. With several publications, his special interests are cardiovascular interventions, advanced cardiac imaging and cardiogenetics. He has helped establish the cardio-genetics services at AIMS, and led several research projects in the field, which have won national and international awards. He has, in collaboration with Radiology Department at AIMS, helped establish one of the first comprehensive CHD cardiac MRI services in the country providing cutting-edge imaging service. Dr. Om Manchanda is the chief Executive Officer of Dr Lal PathLabs, India's largest medical diagnostics company. Before joining Dr Lal PathLabs in 2005, Dr. Manchanda led the International & Innovation group of the Consumer Healthcare Division at Ranbaxy. He was part of the senior management team responsible for launching Ranbaxy's foray into consumer healthcare. Prior to Ranbaxy, he worked for Monsanto as the head of Sales and Marketing, where his team successfully launched the company's first ever biotech product Bt-Cotton. Earlier, during his tenure with Hindustan Unilever for about 10 years, Dr. Manchanda received in-depth exposure in consumer product sales, distribution and marketing. An MBA from the Indian Institute of Management, Ahmedabad, Dr. Manchanda is also a Doctor in Veterinary Sciences from HAU, Hisar. Rishad is interested in social design and in the implementation of creative, evidence-based interventions in low resource communities. He is keen on exploring diverse avenues for Dimagi's technology and collaborating closely with various organizations and beneficiaries at the grassroots level. Prior to joining Dimagi, Rishad worked as an analyst at National Economic Research Associates (NERA) in New York City. As a part of NERA's securities, mass torts and labor practices, he carried out extensive data-driven analyses for litigation purposes. While in New York, he completed the StartingBloc Institute for Social Innovation and raised funds for a non-profit organization that supports the education of underprivileged girls in India. Prof. Jagannathan was instrumental in starting the IEDC (supported by Department of Science & Technology, Govt. of India), which engages hundreds of students annually through its entrepreneurial initiatives, encouraging on-campus faculty development programs to build capacity and interest in entrepreneurship. Prof. Jagannathan has played a pivotal role in the selection and execution of student ideas into viable business opportunities through the IEDC platform. She has also been instrumental in drafting and executing IP policy for DSI, spearheading entrepreneurship activities in association with National Entrepreneurship Network. Under her guidance, it has successfully mentored 5 startups that are established business units today, as well as supported a small number of pre-incubates from Bengaluru. Dr. Geethanath's research interest focuses on technology and application development of magnetic resonance imaging. Dr. Geethanath has an MS in Electrical Engineering from Illinois Institute of Technology and also pursued his doctoral studies in Biomedical Engineering from University of Texas at Arlington/ UT Southwestern Medical Center. Manish is presently working as Director — Health Policy at Johnson & Johnson Ltd with their Medical group of companies. He is an MBA from Rotterdam School of Management, Erasmus University, The Netherlands and holds a degree in Mechanical Engineering from University of Pune. Manish started his career with Thermax Ltd in 1993 as a graduate engineer, took sabbatical to pursue MBA. Joined IDFC in infrastructure & project financing, then ICICI Bank in agri banking, government and corporate banking. He joined Johnson & Johnson in 2006 and has developed the health policy vertical in India. He is actively working on health financing and drives many industry initiatives on health insurance development in India. Kanwajit Singh is a co-founder of Helion and has over 26 years of experience in the areas of venture investing, marketing and business development across multiple sectors in India. In addition to his role at Helion, he serves on the boards of Hurix, Fashionara, HummingBird, YLG Salons, Qwikcilver, Mast Kalandar, Yepme, Attano and LifeCell. Prior to Helion, Kanwaljit spent four years as a Director and Co-Head of The Carlyle Group's India venture operations. Before this, he worked as Head of Marketing for Intel South Asia. He joined Intel from Hindustan Unilever Ltd. where he spent over 10 years in various functions including sales, marketing and product innovation. Kanwaljit has a Bachelor's degree in Electrical Engineering from Punjab University and an MBA in Marketing and Finance from the Faculty of Management Studies, New Delhi. Dr. Angadi has eight years of experience in the fields of pediatric medicine, pediatric cardiology and pediatric intensive care. He received his MBBS from the Jawaharlal Nehru Medical College in Belgaum, India in 2004, and went on to complete an MD in Pediatrics from Mysore Medical College and Research Institute in Mysore, India. From there, he travelled to the UK for a RCPCH PICU Fellowship at the University Hospitals of Leicester. He has contributed to almost a dozen publications and presentations, presented in venues such as the Indian Journal of Cardiothoracic Surgery, the 2013 ESNPIC conference in the Netherlands, and the EJCTSJournal. PROBIR DAS, Country Head, Terumo India Pvt. Ltd.
Probir started his career with Johnson & Johnson and has been in leadership roles in US Surinls, Herbalife, Boston Scientific and BD India. In his current role, Probir is responsible for expanding business operations and developing longterm strategy for Terumo India. Probir has an extensive two decade experience spanning medical devices, medical surgicals and diagnostics in the Indian healthcare space. Probir's passion is around Sales & Marketing operations, Healthcare System Development, Corporate Strategy and Organization Development. Probir has 9 years of teaching experience with Becton Dickinson's "BD University" specifically around Leadership Development, Coaching, Performance Management and Selection of Talent. After completing his MD (Paediatrics) from Baroda Medical College, Dr. Chandwani has served as a Paediatrician in public health institutions in remote rural and urban areas, primary and tertiary centers, and also has rendered voluntary services for poor people through an NGO. Apart from clinical work, he was responsible for implementation of health programs and integrated management system in the hospital. Dr. Chandwani has wide ranging interest in the human resource management issues and challenges in the Indian health care sector and HRM in service sector. Specifically, current research interests include the use of Information Technology to enhance the effectiveness of healthcare personnel and healthcare delivery, scaling up of affordable and quality healthcare services for the underprivileged. Siraj Dhanani is a successful healthcare entrepreneur and professional. He founded and led PharmARC, a healthcare marketing analytics and consulting firm, to an INR 50+ crore revenue stream and successful sale to IMS Health. Mr. Dhanani's in-depth experience includes pharmaceutical marketing (BMS, NJ) and healthcare investment banking (UBS, NYC). He is also an active angel investor in MedTech and IT startups. A. Vijayarajan is a medical technology veteran with over 30+ years experience. He was head of Product Development at GE Medical Systems and created India's first indigenously developed MedTech product. He also led the development of India's first robotic system for tumor ablation at Perfint Healthcare, a leading MedTech startup. Mr. Vijayarajan's vast experience includes the positions of Chief Executive, Health Sciences (Wipro) and Vice President (Hewlett Packard). Dr. Lavanya Kiran is a consultant at Narayana Health Bangalore. Her areas of expertise lie in the fields of Obstetrics and Gynecology and Reproductive Medicine. She has been trained in infertility, ultrasound and laparoscopy and has numerous scientific papers published in international journals. Dr. Rajesh Hegde is a Senior Pediatric Intensivist in the Pediatric Cardiac ICU at Narayana Hrudayalaya Multispeciality Hospital in Bangalore. Dr. Hegde completed his MBBS from Bangalore University and his MD in Pediatrics from JJM MC Davangere. Dr. Chandrika Kulkarni specializes in Reproductive Health, IVF and Gynecology. She is a consultant Gynecologist and IVF specialist at Narayana Health in Bangalore and has contributed chapters to the books "Gynaecological Emergencies" and "Infertility Manual." Dr. Kulkarni received an MD in OB at PGI Chandigarh in 2004, and completed a fellowship in Reproductive Medicine from a Bangalore-based assisted conception centre. Dr. Ranganath Ranganna is a Consultant Neonatologist at Narayana Health in Bangalore. He has 10+ years in the fields of neonatal, newborn, and pediatric health. His work and research has been featured in numerous publications such as Infant, Simulation in Healthcare: The Journal Of the Society for Simulation in Healthcare, and The International Journal of Neurotoxicology. Dr. Ranganna has fulfilled roles as an educator in these fields as well, at locations such as the Hull Institute of Learning and Yorkshire Medical School. He received his MBBS from Bangalore Medical College in 2000, and completed an MRCPCH certification in London in 2005. Dr. Sanjeev K Chaudhry is an accomplished management professional, author and researcher. He is presently Managing Director of SRL Limited and Chairman of CSC Nutrigenomics Pte Limited, Singapore. He also serves on the Board of Directors of several companies and institutions in India and abroad. He was the South Asia head of DuPont Solae until June 2006, a position he held for eleven years. Prior to that he served as Chairman & Managing Director of Modern Food Industries and was the youngest person to head a Government of India company. He was also the first CEO of NatOleo Sdn Bhd Malaysia one of the world's largest producers of Oleochemicals. He has a Ph.D in Business Administration from Columbia University, United States and holds a university record for Masters in Economics at Punjab University, Chandigarh. DR. NILIMA KADAMBI, Director, Kadambi Supergamma Cancercare Pvt. Ltd.
Dr. Nilima Kadambi has been in the healthcare industry for over 20 years. With an M.Ch Peadiatics surgery and diplomas in medical legal systems as well as healthcare management she currently heads the Asian Life and Health as well as Claims and Liabilities section as a Vice President of Swiss Re. She played a key role in the TPA T.T.K Healthcare Services since its start up phase. Dr Nilima started a home healthcare service for senior citizens and is a visiting faculty member of Symbiosis. She is a Contributor to WHO and MoHFW initiative on development of India Specific Standard Treatment Guidelines and Costing Protocols and a member of the CII Sub-group for Health Insurance inputs to IRDA. Fluent in over 7 languages she has contributed to healthcare administration and infrastructure at national and international levels. Seemant is currently responsible for the Research P&L and serves in a leadership role to build the Research & Innovations capability for the Apollo Hospitals group as its 3rd pillar, commercializing ideas and enabling a strategic differentiator for the group. Seemant has cumulative work experience of 13 years in Business Consulting, Business Planning, Strategy & General Management. He has gained valuable experiences from across key industry sectors - Health Sciences, Public Services, Telcom & IT. Business Development, Strategy, Creation, scoping and operationalization of new Businesses/companies/projects and nurturing them until they are on a growth trajectory. Innovation & creative business models for strategic differentiation. Seemant holds an MBA from the Indian School of Business and a Bachelors' degree in Electronics and Communications from Birla Institute of Technology. Dr. Pillai is currently facilitating technology-based entrepreneurship at the Indian Institute of Technology, Bombay. Dr. Pillai transitioned to life sciences industry after medical training, and has cross-functional expertise spanning clinical work, life sciences industry experience with start-ups, and business consulting. His primary interests are in life sciences and start-ups. Mr. Rao has over 14 years of experience in IT and management. He was also an entrepreneur in high end consulting before joining VIIO in 2003. Since then he has headed community relations and fund raising at SKT/VIIO. He is responsible for design and implementation of projects at VIIO. Dr. Sachin Desai is a highly qualified pediatrician with degrees from India and Australia. Dr. Desai is a Fellow of Phychicians and Surgeons Child Health and A Fellow of the The Royal Australian College of Physicians. His clinical experience is vast having worked in Grant and KEM Hospitals, Mumbai and multiple Hospitals in Australia to advance his skills. Dr. Jacob currently sets research direction and manages a high performing team of clinical investigators across 26 hospitals across India, Malaysia and Cayman Islands. Dr. Jacob is presently piloting a unique (PPP) venture accelerator based out of Narayana health city, Bangalore to strengthen and scale Narayana Hrudayalaya's philosophy of "affordable and accessible healthcare for all". He is the former CEO of Catalyz Scientific under the aegis of GCC and also served in the Senior Management of various healthcare and research services companies such as Leads Clinical Research Pvt. Ltd, International Stem Cell Services Ltd before joining Narayana Health. He was instrumental in launching India's first- hospital based technology business incubator under Ministry of Science and Technology, Govt. of India. Dr. Jacob is the recipient of prestigious ISBA National Award for Entrepreneurship & Innovation 2009 and is also a World Bank — Infodev Certified Business Incubation Consultant and Practitioner. He acts as venture principle and board member in few high-tech start-ups such as Nanoram Technologies—Advanced Nanomaterials, VBCT Pvt. Ltd - Regenerative Medicine, Novo Catalyz- Cancer therapeutics and Proact Helath -ICT enabled healthcare. Dr. Aerts holds a Degree in Medicine and a Masters in Public Health from the University of Leuven, Belgium, as well as a Degree in Tropical Medicine from the Institute of Tropical Medicine in Antwerp, Belgium. Most recently she was the Franchise Medical Director Critical Care for Novartis Pharma in Basel. Prior to joining Novartis in 2006, Ann worked with international organizations in various countries overseas, after which she served as the head of the Health Services Department of the International Committee of the Red Cross in Geneva and then as the Director of the Lung and Tuberculosis Association in Belgium. Aya is responsible for the identification, development and implementation of new delivery solutions and models in low- and middle-income countries (LMICs). Prior to joining the foundation, Aya worked at Massachusetts General Hospital in Boston, MA at the Center for Global Health's Consortium for Affordable Medical Technologies (CAMTech) and the Center for Integration of Medicine and Innovative Technology (CIMIT) Global Health Initiative. At Mass General she was responsible for working with consortium partners in India and Uganda to develop activities to facilitate a robust portfolio of marketable technologies to improve health outcomes in LMICs. She has worked on outcome evaluations for innovative technologies in Indonesia (maternal child health) and Ethiopia (multi-drug resistant tuberculosis). She graduated from Dartmouth College in Hanover, NH with a dual degree in Anthropology and Asian Middle Eastern studies. Dr. Valerie Guertler-Doyle leads the Novartis International D&I council. Valerie is a seasoned professional with expertise in the R&D as well as the commercial area. She is recognized as a change agent who dislikes the status quo and has been instrumental in creating business value by leveraging innovation. She was a founding member of HBA Europe, is a board member of UN Women Switzerland and President of the Irish Business Network in Switzerland, which connects Irish and Swiss business. She is an active blogger in the area of D&I and a very engaged mentor both within Novartis and externally. Dr. Bart Vander Plaetse oversees and guides the foundation and its partners in initiatives aiming at increasing access to health care. Bart is a Doctor of Medicine and has a Diploma in Tropical Medicine and Hygiene and Masters in Public Health. He has worked in different roles in health care and health systems strengthening with 20 years of experience in NGO, public/private, bilateral and multilateral context, and country level experience in Rwanda, DRC, Zimbabwe, Mali, Malawi, Nigeria, Niger, Lesotho, Burkina Faso, Mozambique, Uganda, Cameroon, Ethiopia, India, Nepal and Belgium. Prior to joining the Novartis Foundation Bart was Senior Health Management Specialist at the International Federation for Obstetrics and Gynecology, implementing the Leadership of Obstetrics and Gynecology for Impact and Change program in 8 countries across Africa and Asia. Jasjit brings global investing and operating experience to his role at Agni, a company focused on sustainable energy. Prior to Agni, Jasjit helped setup Omidyar Network— a leading early-stage VC fund — in India. At ON he led the Access to Capital practice and managed several successful early stage VC investments in cleantech (including Agni), agribusiness and healthcare companies. Jasjit has an MBA from the Kellogg School of Management at Northwestern University, a Master of Engineering in Chemical Engineering from Cornell University and a Bachelor of Technology in chemical engineering from the Indian Institute of Technology, Bombay. Michal is the Chief Technology Officer at JanaCare, an organization developing mobile phone based diagnostics and evidence based lifestyle coaching programs for diabetics in developing countries. Prior to joining JanaCare, Michal was a Research Assistant at MIT's Computer Science and Artificial Intelligence Laboratory wherein he worked on algorithms for segmentation and visualization of anatomical structures and lesions in cardiac magnetic resonance images. Michal has a Masters' degree in Electrical Engineering and Computer Science from MIT and a Bachelors' degree in Electrical Engineering from McGill University. In his role as Director and COO, Dr. Taslimarif Saiyed manages C-CAMP's strategies, operations, and business worldwide. Additionally, he also oversees the Intellectual Property Management Office (IPMO) and Technology Transfer Office at C-CAMP." Dr. Saiyed's initial training has been in Neuroscience in which he received his PhD from Max-Planck Institute for Brain Research, Germany and followed up by postdoctoral training as a Scientist at University of California San Francisco (UCSF). At the same time, he also took training in management for Biotech and Innovation from UCSF. Combining his scientific and business expertise, he has been a management consultant to biotech firms in the US and India. Vipin is an entrepreneur based out of Hyderabad. 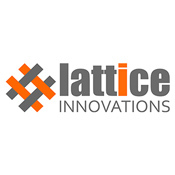 His company, NEO Innovation, provides software services and technology solutions for developing low cost, affordable embedded system products. After completing his graduation in Computer Science from Loyola Academy, he worked as a Summer Research Fellow at Centre for DNA Fingerprinting and Diagnostics (CDFD). He started his company as a technical training institute in Software and Embedded Systems, later collaborating with Indian Air Force to develop various simulation projects for training. His areas of interest include implementation of embedded products in multidisciplinary fields. He is presently involved with Glocal Healthcare as an Embedded System Consultant on various medical technology related projects. Anuradha brings extensive experience in early-stage venture capital to her role at Omidyar Network. Anuradha leads investments in medical technology and healthcare initiatives that bring critical services to millions of Indians who lack access to reliable, quality care. She also invests in education sector opportunities with a focus on organizations working to foster a better education ecosystem in India. Prior to joining Omidyar Network in early 2012, Anuradha spent seven years at VentureEast, an early-stage venture capital fund. While there, she made many successful investments across multiple sectors. Previously she was an investment banker at Lazard India where she focused on the life sciences and consumer products sector. Anuradha also served in various M&A, business development, and corporate strategy roles at UTV Interactive and Cadila Pharmaceuticals. Anuradha received an MBA in Finance and a BS in Physics from Madurai Kamaraj University. Dr. Surajit Nundy specialises in Internal Medicine and is the CEO of Raxa.com. After graduating MD from the Washington University of Medicine, he did a PhD in Neurosciences in Duke University and a Masters in Public Health in Harvard. He was a Resident in Internal Medicine at the Massachusetts General Hospital in Boston and did research in Neurosciences in Harvard. Ms. Surupa Chakrabarti specializes in Reproductive, Maternal and Newborn Health and is currently a Technical Specialist responsible for mentoring nurses and frontline workers at the Uttar Pradesh Technical Support Unit (TSU). This program is supported by India Health Action Trust (IHAT) to reduce maternal, neonatal and child morbidity and mortality. Ms. Chakrabarti currently serves as a member of the Trained Nurses Association and the Societyfor Midwifes in India. Ms. Chakrabarti has both worked as a staff nurse and tutor. She was also a clinical instructor and lecturer at the Shovarani Nursing College. Ms. Chakrabarti was the Manager for the Better Birth Program at PSA in Lucknow and was a presenter at the Asia Pacific conference for Midwife in 2009 on "causes of perinatal mortality among babies in selected rural and urban hospitals of south 24- Parganas". CAMTech and its sponsors will award a total of $10,150 USD in prize money to the top innovations focused on Reproductive, Maternal, New Born and Child Health. Teams will be evaluated by a panel of judges according to a specific criteria, including challenge addressed, public health impact, technology innovation, sustainable business models, team composition and overall pitch.